We are doing a two month unit, ending at the end of this month, about seasons and the weather. Last week we did a lot with winter. The children had a blast and told everyone they could about our classroom activities! I love how excited they get! We started off by learning what snow is and then made paper snowflakes. Most of my children can’t cut well enough to make a snowflake so Ms. Bennet and I did a lot of the cutting. The children were amazed with the homemade snowflakes and kept asking us to make more and more. We ended up with enough so each student could have one! Then we put on some lively classical music and the children did some snowflake dancing! They threw their snowflakes in the air then they pretended they were falling snowflakes and fluttered around as their paper snowflake made its way to the ground. It was sooo much fun! The next day we ice skated in class. Well, not really. We used wax paper to pretend we were ice skating! We cut two pieces for each child – one to go under each foot – and then put on some music and let them slide on the wax paper to pretend they were skating! They loved it and told all the other teachers they went ice skating in class that day! What fun! I have to give credit to Ms. Bennet for finding this great activity! Lastly, we made snow angels in class – using those white styrofoam packing pieces. We spread them all across the area rug in our class and let the children take turns making snow angels! After everyone had had a turn we let the children pick up the “snow” and throw it at each other! A snow fight! There was laughing, screaming, and an all out snow frenzy ensued! We finally had to stop when our snow pieces starting breaking up into tiny little bits. It was a big mess in the end – but well worth it! It doesn’t snow where I live. You have to drive 2 1/2 hours to find any. So, obviously, I have children in my class who have never experienced the joy of a snowball fight – and I can’t have that! I mean really, it’s such fun! So each year I bring the snowball fight to the classroom. And each year the children have a blast! 1. Absolutely NO eating the marshmallows after the fight has begun. Any eating will mean the fight automatically ends. 2. NO throwing snowballs in anyone’s face – that hurts and we don’t want to hurt our friends! 3. Respect your friends. 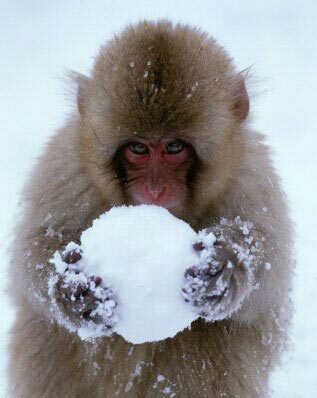 If they don’t want you to throw snowballs at them – turn away and pick someone else. 4. HAVE FUN! Inside voices and walking feet DON’T have to be used! YAY! This is the only time this rule applies. 5. They must ALL help clean up after we are done. Then my co-teacher and I rip open the bags and start throwing the snowballs! We invite the children to do the same. Automatically they start gathering and throwing snowballs at everyone! It can get a bit chaotic – but it’s well worth it! There is running, screaming, laughing – everywhere I look there are happy children having a blast! For some reason I always think this activity will only last 15 – 20 mins. However, it’s lasted an hour or more at times! I have a hard time stopping this activity once it gets started because the children are having such a good time! But let me tell you – they are tired out in the end! Some are sweaty, others out of breath, and all are hungry and ready for lunch! The real fun thing about this activity is that you keep finding marshmallows for days afterward. We did this activity in my class 3 weeks ago – and today we found a marshmallow! Hopefully the last one. But they have a tendency to get into all the little cracks and crevices during our fights and they don’t get seen at clean up time – despite the fact that we walk around looking for snowballs in each area! Eventually they dry up and get hard – I know because I’ve found marshmallows a couple month after we’ve done this activity. Since we don’t have a pest problem at my school – it’s not big deal and a small price to pay for a great deal of fun! Try it – once you do this in your class – you’ll be addicted! Haha!